Internet speed is important to connect the people. A good speed help to the growth of the country. This is the technology era and everything is based on the speed of the internet. I would like to share the tips to improve your current internet speed of android mobile. Several android phone users purchase 3G or 4G connection to get more internet speed. But only avail the internet speed like 2G in Android phone. Users blame to mobile network company for low internet speed but they do not understand the basic problem of his phone. Sometimes our Smartphone responsible for the low-speed internet. You can use the number of applications to improve internet speed performance without spending a lot of money. Basic questions rise in mind “How to increase internet speed in android phones”. The best 5 tips to speed up your internet speed. Google Play Store provides you with the number of application of TCP Optimizer. Those applications are helpful to improve internet speed. One of them is Internet Buster and the Free Internet Speed Application. TCP optimizer stops advertisement and pops up window on your Android Mobile. You have to slight changes in the application to improve the internet speed in Computer or PC, but only one button helps to improve the speed of mobile. So, don’t change the internet plan from 3G to 4G. First, test the speed of the internet in mobile and download apps as per requirement. You can download internet booster and optimizer from Google Play Store. 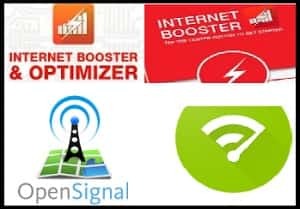 Download Free Internet Booster And Optimizer. When you use the number of application, the cache will create with the same number. That cache reduces the speed of internet and phone processor in Smartphone drastically. To increase the speed of the internet or phone, you have to continuously delete these caches. If you want to delete these caches, open the ‘Storage’ option in phone setting. Now remove cache after reflecting the ‘Clear Cache’ option. Another thing, you have to confirm that phone internal memory could not be shown fully. This is the second reason to reduce the speed of your internet. Try to save phone data in the cloud. The question may be raised – how to speed up the Android phone with less RAM because the number of the application automatically start, when on the mobile phone. Some processing is not required at that time. The process of application and hardware is the root cause to reduce the speed of the internet. So, disable all unnecessarily uploaded apps. If you want to disable the running app, go to the setting option of your phone and choose the app option. Disable those file from processors. Download File Deletion App – Free. Your phone old browser reduces internet speed. The company always update about the changes in browsers. These up gradation better the performance of Apps. So, it is important to upgrade the phone on demand. The virus enters through browsing and affected file. That virus creates a problem like – phone hanging, low internet speed etc. A good antivirus stops entering the virus and detects the infected files by the scanning process. Scan your phone with the help tools. The best tools to provide protection is 360 securities. These 5 tools will be protected your Smart-phone as well as will help to improve internet speed drastically.